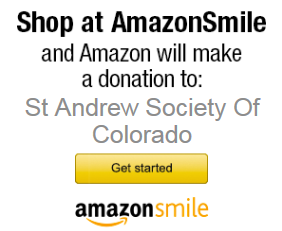 The St. Andrew Society of Colorado began in Denver in 1963. The Society exists to provide all persons with an interest in Scotland the opportunity to pursue their interest in Scottish culture, traditions, and history. The Society is a non-profit 501(c)(3) organization. The St. Andrew Society of Colorado (SASC) supports the Scottish heritage throughout Colorado. SASC has given scholarships to highland dancers, bagpipers and drummers to attend workshops and competitions throughout the U.S. and abroad. SASC also supports and supplies funds for other groups that support the Scottish heritage in Colorado. Every year the Chieftain awards three individuals with the prestige’s Chieftain Award. The awards go to a piper, drummer and dancer that has shown his or her contribution and dedication to the Scottish community in Colorado. They are selected by nominations and reviews of their bios, then chosen by the current Chieftain. The Chieftain also gets the pleasure of awarding the Tartan Award which is presented annually to a deserving person(s) for outstanding services rendered to the Society or community. Written nominations may be submitted to the Society Secretary from the membership at any time. The Tartan Award was created to recognize outstanding service to the St. Andrew Society of Colorado and the Scottish profile in Colorado. It replaced the Chieftain’s Award for Citizen Achievement. Recipients have to be nominated by other members and approved by the Council. years in order to become Chieftain. We appreciate their leadership and dedication.